Hoi An is the cultural center of the Central Area Vietnam. Therefore, it would be a pity if we miss a bunch of information from this center of history and culture’s knowledge. 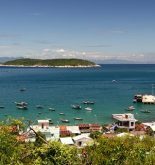 On the Huffington Post of America, journalist Marilyn Downing has shared her experiences when coming to Vietnam, one of those is finding the truth about Vietnam through real things, real persons in Vietnam. Therefore, besides an attractive food tour, tourists are recommended to arrange a visit to museums in Hoi An. Is the eloquent testament about the long history of a small town. The museum is built on the ground of a form Budda pagoda on no. 7 Nguyen Hue St. Inside the museum exhibiting over 400 objects presenting historical and cultural changes from pre-Cham through Cham period and port-era. The museum is small but pack full of history with a range of artefacts and photographs of local architecture, ceramics and pottery. It is interesting beginning for exploring Hoi An. The tourists can enter the museum from 8a.m to 17p.m everyday in the month except 25th. Sa Huynh Culture Museum is showcasing the biggest and most unique collection about Sa Huynh Civilization in Vietnam. 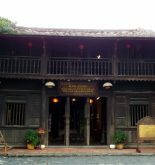 The museum is located on Tran Phu St, which is highly potential for those who are interested in history and archeology. The collection includes a plenty of artefacts from Sa Huynh era, which is pre historic Bronze Age civilization occurring in Vietnam, particularly in the Central of Vietnam. Sa Huynh people are considered to be the first settlers of the port town who cooperated and traded with countries in Southeast Asia, South India and China. The museum displays jewelry, weapons and other useful tools. It also presents the funerary rituals and rites. Sa Huynh Culture Museum opens from 7.00 to 21.00 every day except 10th every month for reservation. Hoi An Museum of Trading Ceramics is a cozy place which is constructed like a beautiful traditional Vietnamese architecture style house. It is two storey building with a courtyard and an anteroom. Inside the house there are over 400 artefacts standing for the ceramic trade network dating back to the 8th to 18th century. Almost trading ceramics have origins of Japan, China, India, the Philippines and Thailand, which are the eloquent evidence for the important role of Hoi An in marine trading network in the past, as well as demonstrate the cross culture and economy relationship happening strongly in Hoi An in the previous century. Among them, some antiques were picked up from wrecked ship in the sea in 1733. Viewers can visit the museum from 8a.m to 5p.m everyday except 15th of month. Hoi An Museum of Folk Culture is an unique thematic museum in Hoi An. 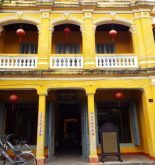 The building is the largest two-storey house in the ancient town with two doors front to 2 streets Nguyen Thai Hoc and Bach Dang. Nearly 500 objects present the four divided themes. The plastic folk art is expressed through the sculptures, carvings on wood, decorative objects in bronze, terracotta… The performing folk art is presented through photographs and objects traditional performing like Bai Choi game, Thien Cau dance, Ba Trao singing. Traditional villages are also demonstrated in subtitles of unique objects in the largest center on 2nd floor. Traditional lifestyle is illustrated in the costumes of Hoa people, Viet people. Besides, the collection of daily necessities is displayed as spatial layout in an old house, creating the cozy feeling like there is a family living in the house. The museum opens weekdays and closes on the 20th each month for maintenance.